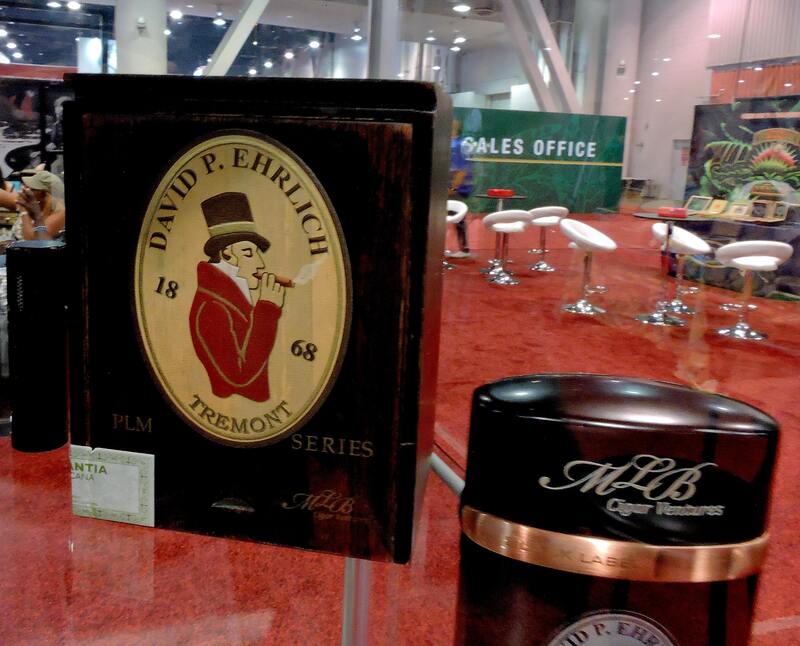 The David P. Ehrlich PLM Series is the fifth blend to be released by Mike Bellody‘s MLB Cigar Ventures. The MLB Cigar Ventures portfolio consists of two brands: Imperia, produced at the Quesada Cigars factory and David P. Ehrlich, a line produced at Ernesto Perez-Carrillo Jr’s Tabacalera La Alianza. The PLM Series is the second blend under David P. Ehrlich. 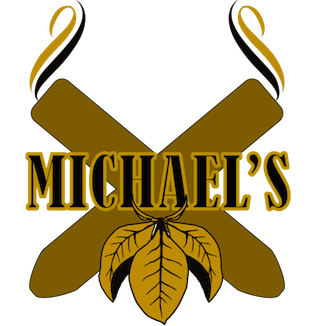 More importantly, the PLM Series introduced the first maduro offering by MLB Cigar Ventures to date. 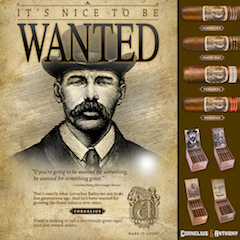 Today, we take a closer look at the David P. Ehrlich PLM Series in the Robusto size. 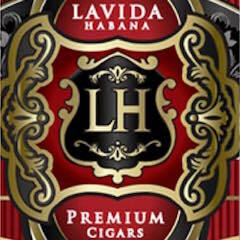 The David P. Ehrlich brand is described as a partnership by Bellody and MLB Cigar Ventures’ National Sales Manager, Barry MacDonald. David P. Ehrlich was the name of a historic tobacconist whose eponymous shop was located in the city of Boston. 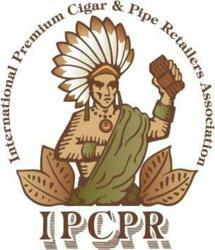 The store traced its history back to 1868. 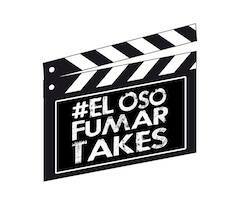 For Bellody, it happened to be the place where he purchased his first cigars over two decades ago. It also turns out that MacDonald’s family owned Ehrlich’s for almost 40 years. 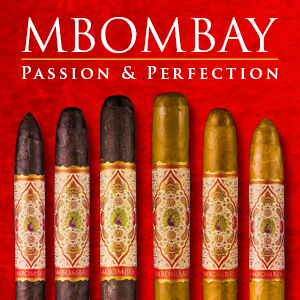 While the store is no longer in operation, MacDonald was able to work with Bellody to bring back the brand – this time to be used for a line of premium cigars. As for the name PLM Series, it pays homage to Paul L. MacDonald, Barry’s father. 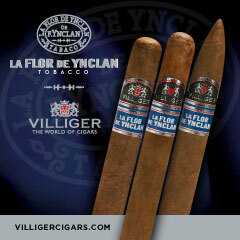 The PLM Series joins the David P. Ehrlich Tremont as the offerings out of Tabacalera La Alianza. Without further ado, let’s break down the David P. Ehrlich PLM Series Robusto and see what this cigar brings to the table. The David P. Ehrlich PLM Series is highlighted by a San Andres Maduro wrapper from Mexico over a blend of Nicaraguan and Dominican tobaccos. The David P. Ehrlich PLM Series is available in five sizes. These are the same sizes also found in the Tremont line. Each of the five sizes is presented in 20-count boxes. 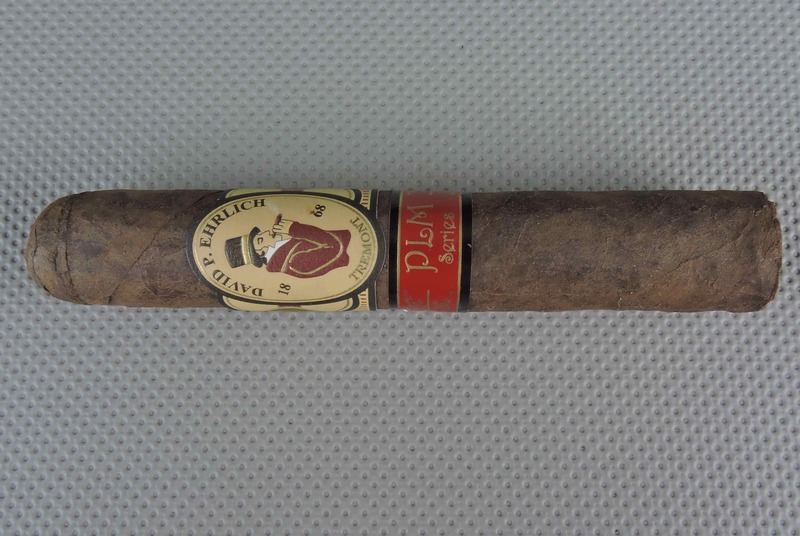 The San Andres wrapper of the David P. Ehrlich PLM Series Robusto had a dark chocolate color. Upon closer examination, there was some darker mottling that could be seen on the surface. This was a wrapper that didn’t have much in the way of oil on it. The wrapper also had a slightly bumpy surface. There were some thin visible veins, but the darker color of the wrapper hid most of the seams. The David P. Ehrlich PLM features two bands. The primary band is the same one found on the Tremont line. This band has a mostly pale yellow background along with a red, gold, and black color scheme. The band implements a variation of the original David P. Ehrlich logo. It features a gentleman in a red smoking jacket and black top hat smoking a cigar over an oval background. The text “DAVID P. EHRLICH” is in black font arranged in a curved fashion. The text “18” and “68” surround the gentleman in black font. The text “TREMONT” is on the lower portion of the oval in gold font. On both the left and right is a red stripe protruding from the oval. There is a gold medallion resting on the oval. Above and below the stripe are some additional gold adornments sitting on a pale yellow background. The lower portion of the band contains a series of red pinstripes. Finally, the oval and the edges of the band have a black colored trim to it. The secondary band is red with gold and black trim. On the center of the band is the text “PLM Series” in gold font. There are gold adornments across the rest of the band. Prior to lighting up the David P. Ehrlich PLM Robusto, I opted to use a straight cut to remove the cap of the cigar. From that point it was on to the pre-light draw experience. The dry draw delivered a mix of white pepper, earth, and mocha (which I term a fusion of chocolate and coffee). This was an excellent pre-light draw experience. At this point, it was time to light up the David P. Ehrlich PLM Robusto and see what the smoking phase would deliver. The David P. Ehrlich PLM Robusto started out with a mix of coffee, chocolate, earth, and mixed red and white pepper. While there was more of a fusion between the coffee and chocolate on the pre-light, once lit I found these notes to be separate. Early on the coffee, earth, and pepper notes became primary with the chocolate settling in the background. There was an additional layer of red pepper on the retro-hale. During the first third, the coffee notes took an edge as a primary note with the pepper and earth receding into the background with the chocolate notes. By the second third, the earth notes re-emerged – popping into the forefront from time to time. The coffee notes, however, retained the edge. By the last third, the coffee and earth notes were still alternating in intensity, but now the earth notes took a slight edge. The chocolate and mixed pepper notes remained in the background. This is the way the cigar experience of the David P Ehlrich PLM Robusto finished up. The resulting nub was cool in temperature and firm to the touch. At times the burn line of the David P Ehlrich PLM Robusto had a little bit of jaggedness, but this proved to be more cosmetic than anything. This is a cigar that had excellent combustion and had no trouble maintaining a straight burn path. The resulting ash had a salt and pepper color scheme and was skewed toward the firmer side. Meanwhile, the burn rate and burn temperature were ideal. The draw to the David P Ehlrich PLM Robusto performed quite well. It maintained a nice balance of resistance and openness. This was a low maintenance cigar to derive flavor from. In addition, this cigar produced a nice amount of smoke. Bellody is known for some bold cigars in his portfolio and the David P Ehlrich PLM Robusto certainly has earned its place among those. 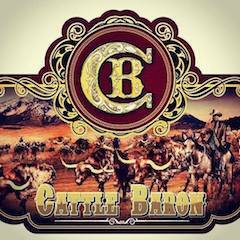 This is a cigar that maintained medium to full strength from start to finish. 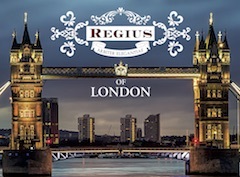 The flavors of this cigar started out medium to full-bodied, but by the second third, they progressed to full-bodied and remained in that range for the duration of the cigar experience. In terms of strength versus body, I found the body maintained an edge from start to finish. For his first maduro release, Bellody hits this one out of the park with the David P Ehlrich PLM Robusto. 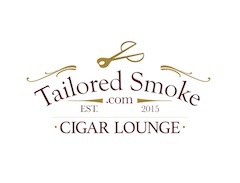 Over the past few years, Bellody has built an excellent portfolio of cigar offerings and with the PLM Robusto, he has taken things to the next level. It’s also as good a San Andres cigar as I have had out of Tabacalera La Alianza. This cigar doesn’t bring the pungency that I find a San Andres wrapper delivers – and that’s a good thing. 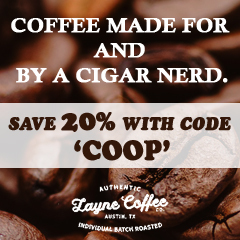 This is a bold cigar that is loaded with flavor. 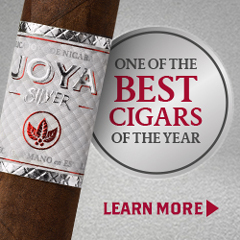 Since it’s a bolder cigar, I would steer this to a more experienced cigar enthusiast. 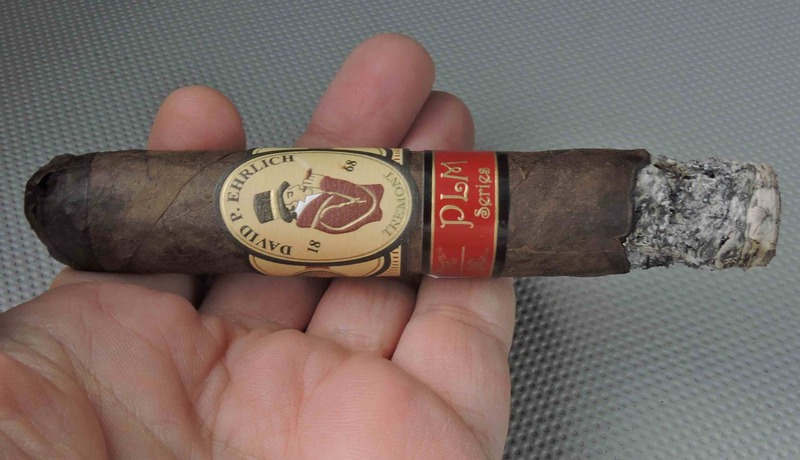 At $10.40, the David P. Ehrlich PLM Robusto is not an inexpensive cigar, but its one I would put my money where my mouth is and buy a box of.